“In addition to five thousand Jews there were thirty thousand foreign workers and a few thousand Reichsdeutsche (Germans). 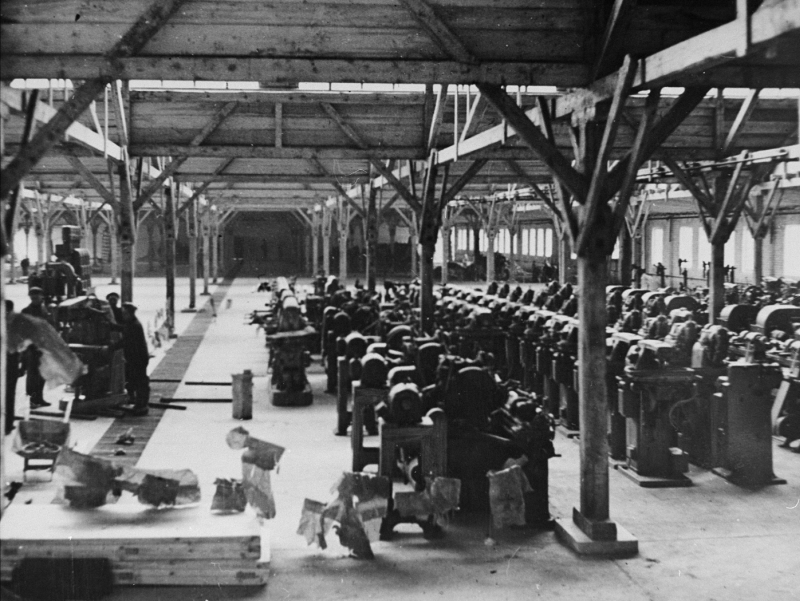 They all worked in a Krupp munitions factory where anti-tank cannons were manufactured. Many firms were engaged in this construction; the Jewish workers were allocated to the following firms: Grün & Bilfinger, Beton & Monier-Bau, Wayss & Frietag, Lenz & Co. and, among others, Schallhorn. Each of these firms provided a canteen for the workers they employed. They were all provided with a hot lunch, with the sole exception of us Jews. Often the smell of cooking wafted towards us so that we salivated and our empty stomachs went into painful cramps. Although we did the same work as others we were excluded. Some German and foreign workers occasionally gave us their plate of food when they had no appetite.